As a homeowner, one of the most important aspects is to make sure that you keep up with the maintenance in your home. If you rented property or apartments your whole life, and this is your first time owning a house, then you might be in for a bit of a surprise. All the small details were likely managed by your landlord previously, such as taking care of your lawn, fixing any issues with your plumbing, minor annoyances such as squeaky doors or chipping paint, and so on. So to become a homeowner means to be prepared for nearly any situation that may arise. This is even more important when your home relies on a septic tank system for water usage and waste, such as the shower, the toilet and your sinks. A septic system requires that you know how to effectively unclog a drain, diagnose septic problems and understand the overall care for this type of system. Even if you cannot perform most of this maintenance on your own, it would be a great idea to learn how exactly the system works, what types of problems to diagnose and to know when to let a professional septic tank company deal with problems with your septic tank. To start with, let’s try and understand how exactly the septic system works: when you have waste water or waste that flows out from your house, it goes through pipes and flows into the septic tank. There are two baffles within the tank that deflects waste downward. The inlet baffle deflects waste downward insuring that it does not go directly across the tank. The outlet baffles also performs a couple of objectives. This keeps anything floating, such as the biomat, from going out directly into the field or pump tank, and it allows only “clean water” to leave the septic tank. Also there should be a gas deflector at bottom of the outlet baffle to deflect gas particles containing sludge. The remaining liquid waste exits the end of the tank, where it is usually flowing out into the leach field. This is generally the traditional process for waste product flowing throughout your septic tank. The septic tank itself is built with the ability to access it, usually from above. This allows the homeowner or septic tank professional be able to inspect the inside of the tank, and perform routine maintenance. 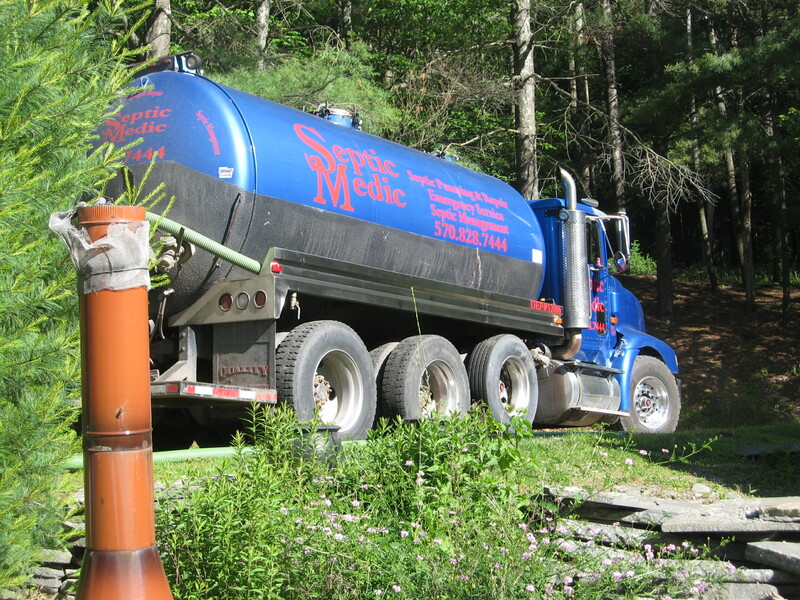 This type of maintenance is critical to ensuring that your septic tank is functioning properly. If there are any issues such as sludge building up in the tank, or a loose pipe somewhere, you could end up running into issue such as having foul smells within your home, inability to flush your toilet and having backups into parts of your home. A tank should be pumped when sludge buildup measure 1/3 or more of the liquid depth, and/or if the sludge level is higher than the gas deflector. Either of these will lead to a problem and it would be a good time to get a septic cleaning. Septic tank systems should be tested once every two years. It is recommended to test more often too, especially if you live in a household with a large amount of people that requires the use of resources on a greater scale, which in turn puts more strain on the septic tank system. Make sure that you pump your tank frequently, usually bi-annually or annually. Again, it depends on how much you use your system. Make sure that you use only safe chemicals that are suitable for septic systems. Certain household chemicals that travel through your pipes can often be detrimental to the bacteria within your septic tank system. Avoid flushing items such as disposable wipes down your toilet, as they will most likely build up and clog your pipes and system. Try to be economical when it comes to using your water system – don’t shower multiple times a day and try to conserve your usage as much as possible to avoid overstressing the septic tank. Keep an eye on things for anything unusual. Also make sure to check your leach fields for areas of grass that are robust or growing faster than anywhere else on the mound. Make sure that the water isn’t standing there or squishy, and that it is generally in good shape. Homeowners shouldn’t truly be expected to know all the ins and outs of how to diagnose and fix septic tank problems, which is why it’s super important to have access to a reliable and trustworthy septic repair company that knows what it’s doing. 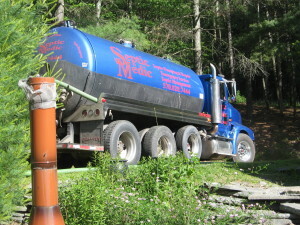 Septic Medic has the years of expertise when it comes to serving septic tank issues and problems within Pike County, PA; we are the number one resource for emergency issues that can arise, so contact us for everything from routine maintenance to emergency issues such as having a pipe break or the system backing up. Septic systems are extremely durable when you take good care of them, and can last for years and years with the right amount of attention. If you are a homeowner in Delaware Township or the surrounding area, contact us online or call 570-828-7444, with our help you will be in the best hands possible!